Most people would assume that by now just about any company would have a website. Actually, this is not the case at all. Studies show that around half 50% of small businesses don’t have a website. This is rather surprising since there are so many advantages of small business websites for companies. A website is these days a critical tool for any type of business. A website is a powerful marketing platform. A properly developed and designed website can give a company the competitive advantage in their specific niche industry. It can improve the image of a business, increase sales, gain prospects, leads, and reach consumers worldwide, 24/7, 365 days a year. To assist companies realize the importance of small business websites, here are the top 10 advantages of small business websites. A website makes it very easy for a small business to gain new customers. It is basically a sales agent, who does not sleep or take breaks and who works 7 days a week, all year. It streamlines all offers and promotes it very effectively. Websites improve company productivity by having them explain the products and service to potential customers and provide certain customer service functions. This frees up a lot of time for employees to be doing something else more productive. 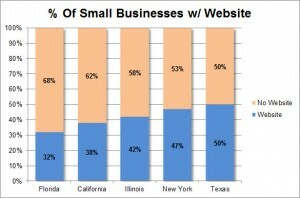 A website increases market share for a small business that it normally could not afford to cover traditionally speaking. It gives a small business visibility into markets it may have not thought about before. The added exposure tends to increase market share. Online marketing services are not just much more effective but also save money on advertising. Marketing services such as Search Engine Optimization SEO, Content Marketing such as Video Marketing services, or Social Media are very effective and can save money in comparison to more traditional methods. A website can provide many more customer service functions and features to the customer base than a traditional person can do over the phone. Customers can email information quickly, which can be processed by the right personal. Auto-responders can give customers immediate confirmations and so on. A website is a depository of company information that significantly promotes the education of a company’s products, services, solutions, and offering. A well designed and developed website, can give a small business a big start through content that is published on the small business website. Educating customers can increase the brand’s market position, authority status, sales, customer loyalty, and much more. A small business website allows a company to quickly promote products, specials, and services. A business can speed-up promotions with a website by quickly making any offers and information public, visible instantly almost as well as worldwide. Now, it can be shared across social media and other platforms. It is a fast and efficient method for promotions. These days, people are spending so much time on mobile devices. Over 60% of people are already accessing the Internet via mobile devices such as a tablet or smart phone. A mobile-friendly website (Responsive Design Websites) can give a small business a boost in visibility, competitiveness, and sales. To be efficient in communication, a website is almost necessary these days. Consumers prefer it and competitors are most likely already using websites for streamlining and improving communication. Customers with websites can quickly and easily contact a business, give feedback, ask about products and services, land eave their contact information at their convenience. Websites collect all kinds of information when they are properly developed and marketing tools such as Google Analytics are implemented. A website can give a small business all kinds of research data, statistics, and information. Often, these free tools provide all of this data at no cost to the business. In addition, a website can feature visitor polls, online surveys, and other functions to conduct research.